I must admit to thinking Roma to be more historically successful than they really are. I always knew that their trophy room wasn’t as well stocked as those in Turin and Milan, but I’m surprised by their comparative lack of success. Further down are Cagliari, Sampdoria, Casale, Novese and Hellas Verona who have each won one Italian Championship. Roma are eighth in terms of Italian Championships won. Eighth! I always assumed they’d be fourth or, at worst, fifth, but eighth? It seems crazy that a team from a city as great as Rome haven’t been more dominant, especially as I’d always considered them in the same bracket as Juve, Inter and Milan. Three titles is nothing to sniff at, but their Serie A wins are separated by decades (1941-42, 1982-83, 2000-01). They’ve never been calcio’s top dogs for an extended period of time. They’ve won plenty of other honours, including nine Coppa Italias and two Supercoppas but (a single Inter Cities Fairs Cup aside) they’ve never been hugely successful in Europe. Excuse my ignorance, but I’m almost shocked by this. I did a few sums to put Roma’s position into perspective. Over the past 79 seasons they’ve achieved an average position of just 7th in Serie A, peaking by winning the title thrice. They’re lowest ebb came in 1951-52 when they finished first in Serie B, their only season outside of the top tier. Now they seem more Tottenham Hotspur than anything else. In terms of league performances, the last 11 seasons have been the most successful in Roma’s history. They won the Scudetto in 2000-01 and have since finished second six times since. This gives them an average finish of 3.7th (4th, really), which is almost twice as good as their historical average. Roma are fourth in the all-time Serie A league table, which is closer to what I expected. Still, I’m really surprised to learn that the past decade has been their most successful in Serie A. They’re a massive club with a proud legacy, but I always thought that Roma were built on a gold-laden past. Apparently I was wrong. A break from ATP’s normal activity, but when better than the winter break to compile a team of season so far? Here are my 2011-12 Serie A standout performers. Agree/disagree? Please don’t hesitate to make your feelings known, but don’t jump down my throat: everyone has a different opinion, and every calcio site is likely to post a different list. Earlier this month I suggested that the Slovenian is now among the world’s best goalkeepers. He’s been in excellent form this season, keeping team clean sheets and shipping just nine goals, and his role in Udinese’s excellent season is huge. I’d expect Samir to be playing for a massive club this time next year. Lichsteiner’s form has been a blessing for Juventus fans after last season’s Marco Motta horror show. The ex-Lazio man has been one of Antonio Conte’s standout performers this season and his bombing runs down the right flank have given Juve a whole new outlet. Equally solid in defence and attack, Lichsteiner is a top full-back. Signed in January for under €1m (! ), Barzagli has been the best defender in Italy this year. Having failed to reproduce his Palermo form with Wolfsburg, Barzagli is back to his best. His rock-solid performances alongside Leonardo Bonucci have seen Giorgio Chiellini pushed out to left-back and he’s back in the Azzurri frame after a three-year absence. Praising the Brazilian has almost become cliché. It’s perfectly justified, though: Silva is one of the best CBs around and he’s been typically excellent for Milan this season. A clinical tackler and precision passer (his 90.8% pass success rate is the league’s highest), Thiago Silva is set to be one of the game’s finest for years to come. Inter’s season started slowly but there’s been nothing cumbersome about Nagatomo’s performances. The livewire Japanese international is having a career season and has been instrumental in each of Inter’s last four games. Lucio, Samuel & co. will need replaced sooner rather than later, but Inter’s LB position is well and truly locked down. Maggio is the battery that keeps Napoli’s watch ticking. The three tenors (Cavani, Hamsik & Lavezzi) get most of the attention, but Maggio is arguably Napoli’s most important player. A near-perfect wing-back or winger, Maggio runs the right flank like no other player on the peninsula. Reborn under Luis Enrique, DDR has overcome last season’s inconsistency to become Roma’s heartbeat once again. De Rossi has been outstanding wherever he’s played (he’s even filled-in at CB this season) and I can only imagine him continuing to improve as Roma grow in stature. Tackling, passing, shuttling, scoring… Marchisio does it all. Linking-up with a revitalised Andrea Pirlo and new signing Arturo Vidal, Marchisio has already scored six goals this season. Versatile and tireless, Marchisio is Juve’s most important player and he’s still only 25. A legacy of greatness awaits. Pepe has only played left-wing a couple of times this season but I couldn’t omit this guy. He still has detractors, but Pepe is an invaluable workhorse for a team who value grit and determination above all else. Pepe has scored some vital goals this season and his versatility has seen him occupy five different roles this term. He’ll never be the most technically refined player in Serie A, but Pepe remains a huge asset. The best player in Italy? Quite possibly. 11 goals and two assists in 13 games have seen him run Milan’s attack almost single-handedly. Zlatan tends to slump around February/March time, but he’s been imperious this season. The most well-rounded centre forward on the planet and a certainty to score at the moment. Atalanta have been Serie A’s surprise package and their early-season form has much to do with Denis’ goals. The Argentine has scored 12 in 16 to take him to the top of the scoring charts. A remarkable turnaround for a 30-year-old in a newly-promoted team who’d only scored a total of 20 goals in his last four Serie A campaigns. Hugo Campagnaro (Napoli): Swashbuckling centre-back with a habit of scoring important goals. Pablo Armero (Udinese): Would’ve been a shoe-in at LB if not for Nagatomo’s recent form. A dynamic, explosive left-flank presence. Antonio Nocerino (AC Milan): The shuttling midfielder’s six goals and consistency should earn him an Azzurri recall. Andrea Pirlo (Juventus): The creative maestro is back to his best as Juventus’ conductor. Antonio Di Natale (Udinese): Death, taxes and Toto scoring – life’s three certainties. 10 goals already for the poacher extraordinaire. … okay, the next couple of weeks will be busier than expected. It’s the holiday season, so I’m going to stretch “Roma Week” out until Serie A’s winter break ends on January 8th. This’ll give me plenty of time to produce content and enjoy the season in equal measure. I looked at Roma’s recent fortunes in this week’s edition of my Serie A Weekly column, so click here for my appraisal of the most interesting project in calcio today. 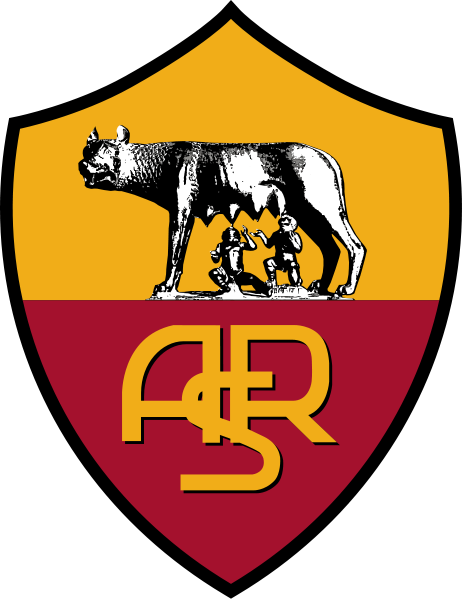 Associazione Sportiva Roma were founded in 1927 as the result of a merger between three existing Roman clubs: Roman F.C., Alba-Audace Roma and Fortitudo Pro Roma. Italo Foschi, a secretary for the National Fascist Party, who wanted Rome to have a larger club to challenge dominant northern sides like Genoa and Pro Vercelli, initiated the merger. The club settled in the working class region of Testaccio, building an all-wooden stadium there (the Campo Testaccio) in 1929. Thrown straight into the top tier, Roma didn’t become a success side until Serie A’s second official season (1930-31). A team featuring Italian internationals like Fulvio Bernardini (who I covered a few weeks ago) and Attilio Ferraris finished second to Juventus, preceding a credible third-place finish in 1931-32. A slump in league form saw most of Roma’s high-profile players depart, and they were forced into a rebuilding process in the mid-1930s. Enrique Guaita, an Argentine-born forward, was among those who joined, and his goals helped fire Roma back towards the top. In 1935-36, coached by the Scudetto-winning ex-Casale player Luigi Barbesino, Roma finished second to Bologna by just a single point. Roma’s inconsistency resurfaced and the Giallorossi (“yellow-reds”) finished as low as 10th the following season. Their first title win in 1941-42 came as a huge surprise, as the capital city side had finished 11th the year before despite making the Coppa Italia final. 18 goals from star striker Amedeo Amadei helped Roma to a three-point advantage over runners-up Torino. Again Roma struggled to establish dominance. They finished 9th a year after winning the title and continued to struggle after Serie A’s post-World War II resumption in 1946. They went into a slump, never finishing above 15th between 1946 and 1951. They were relegated after a wretched 1950-51 campaign saw them finished 19th, although the league was tight and they were just seven points behind ninth-place Udinese. The Serie A exodus didn’t last long, however, and Roma won promotion at the first time of asking under future Azzurri coach Giuseppe Viani’s tutelage. 1951-52 remains Roma’s only season outside of the top flight to date. The Giallorossi slowly re-established themselves as a top-half side, and achieved yet another second-place finish in 1954-55 with Englishman Jesse Carver at the helm. Originally Roma had finished third, but they were bumped to runners-up when second-place Udinese were relegated after a betting scandal. Unable to establish themselves as one of Italy’s top sides, Roma’s up-and-down Serie A fortunes continued. They did achieve some success in cup competitions, however, and won the 1961 Inter-Cities Fairs Cup (a precursor to the UEFA Cup/Europa League). They beat Birimingham City 4-2 in the final, and won their first Coppa Italia three years later with a win over Torino. A second Coppa Italia followed in 1969 as Roma continued to fluctuate around Serie A’s midtable. The 1970s were just as successful on the cup front, but Roma never finished above third in Serie A. During this period they added the 1972 Anglo-Italian Cup and 1979-80 Coppa Italia to their trophy room, before finishing as Serie A’s runners-up in 1980-81. Bruno Conti, an exceptionally quick and skilful winger, was among Roma’s star players at the time. His Roma career lasted from 1973 to 1990, and he even managed the club after Luigi Delneri’s departure in the 2004-05 season. Conti made a total of 372 Serie A appearances in his career and won 47 Italy caps, scoring five goals. Today he works as Roma’s Director of Football. The Giallorossi had been within touching distance of the Scudetto on plenty of occasions, and the hunger for gold was returning. The Eternal City exploded into celebration at the end of the 1982-83 season when a dominant Roma side won Serie A with games to spare. Roma were unable to repeat the feat in 1983-84, finishing second, but they did manage to win the 1984 Coppa Italia. They also competed in the 1984 European Cup (Champions League) final, taking a feared and respected Liverpool side to a penalty shootout that the English side went on to win. Yet another Coppa Italia win came in 1985-86, but Roma’s league form was slumping again. By 1991 they’d added another Coppa Italia and put forth a losing effort in that year’s UEFA Cup final, but Roma were regularly finishing 8th and 9th in Serie A. To this day they’ve never been able to establish themselves as the number one side in Italy, often following-up Scudetto victories with season of mediocrity. The 2000s marked a shift in Roma’s fortunes as the club splashed-out on big money signings like Gabriel Batistuta, Hidetoshi Nakata, Walter Samuel and Brazilian midfielder Emerson. 2000-01 was hugely successful, and Roma won their third Scudetto with a 3-1 last-day win over Parma. Captain and local hero Francesco Totti emerged as a true Roman icon around this time, and his performances were instrumental in the club’s success. I don’t even need to explain the phenomenon that Totti has become. He’s a unique player, one of the finest of his generation, and one that the Giallorossi will struggle to replace when he leaves or retires. Roma continued to spend big. Aldair, Cafu, and Vincenzo Montella had already arrived at the club, and enfant terrible Antonio Cassano signed for €30 the following season. The Giallorossi finished second in 2001-02, missing out on a fourth Scudetto by a single point, but did capture that year’s Supercoppa. Big financial troubles surfaced in 2002-03, an inevitable result of the previous couple of seasons’ big spending. Batistuta was loaned to Inter to cover his wages, and Cafu was released to AC Milan. Christian Chivu’s 2003 signing was delayed and only secured by the FIGC’s own money. Roma, however, slowly recovered. More shares were released onto the stock market, and approximately €80m was injected into the club in order to keep it afloat. Roma have continued as calcio’s perennial nearly men ever since. They’ve won a further two Coppa Italia’s since 2003 and finished as Serie A runners-up an astonishing five times. This season they’ve undergoing something of a revolution under new American owner Thomas Di Benedetto and manager Luis Enrique. The transition to a slick, possession-based team hasn’t been easy, but things are finally starting to pick up for Roma. I’ll have more on that tomorrow. That was ace. I had a lot of fun this week and feel like I produced some of the blog’s best content so far. The next few weeks might be a tad spotty with Christmas and New Year, but I’ll still be producing content over the festive period. I obviously won’t be matching the prolificness of the past couple of weeks, but there’ll be something. Friuli History (part one): I split this week’s historical summary into two parts because of the volume of information on Udinese’s website. Here’s part one. Friuli History (part two): A piece I wrote on Schrodinger’s Cat and the experiment’s relevance in comparing marking systems. Not really. Udinese & the Scudetto: Notes on Udinese’s previous brushes with the Scudetto and an appraisal on the current team’s chances of success this season. The Friuli Farm: The Bianconeri’s “buy high, sell low,” model, how it benefits them and some of the greatest players to pass through the Stadio Friuli. In Search of Liam McCarthy: My ill-fated attempt at contacting Udinese’s only Scot. Samir Handanovic: One of the World’s Best Goalkeepers: Can anyone name me five better ‘keepers? Better than you think: Samir Handanovic. Samir Handanovic is rightly recognised as one of the most improved goalkeepers in Europe. Udinese have conceded just seven Serie A goals with the 6’5” Slovenian keeping net this season, and last season he saved six penalty kicks. No, that isn’t a typo. Obviously there’s more to being a great ‘keeper than saving penalties (look at Mark Crossley) but the stat displays says a lot about Handanovic. His size definitely helps, but you’ve got to be agile to size a well-placed penalty. Most players will try to hit their penalties in the bottom corner, well out of reach for most goalkeepers. Not that all of the penalties Handanovic faced last season were perfectly placed, but they certainly weren’t all scuffed mishits. Composure is very important in these situations. The onus is on the striker to score, but a calm, composed goalkeeper has a far better chance of making a penalty save than a shaky, erratic one. Keeping calm allows a ‘keeper to read his opponent’s body language and get a better idea of where the ball’s going to go. Such strong anticipation is another of Handanovic’s finest points. Handanovic has no obvious physical or mental weaknesses. He has no qualms about rushing off his line and bravely diving at oncoming strikers’ feet and his reflexes are second-to-none. It seems like Samir makes a blinding point-black save every time I watch him play, and he’s approaching an Edwin van der Sar level of proficiency with the ball at his feet. Aside from his outstanding penalty record, Handanovic went 704 minutes without conceding a goal between February 5th and March 20th last season. In a team known for its swashbuckling attacking style and disregard for defence, this statistic doesn’t require elaboration. Atalanta coach Stefano Colantuono has called him the best goalkeeper in Europe, and Handanovic’s excellent form has seen him receive plaudits from around the globe. There’s no doubt that he’s a fantastic, match-winning goalkeeper, but how does the 27-year-old compare with the world’s best? In Italy, Gianluigi Buffon is the obvious benchmark. Gig has been one of the most dominant ‘keepers in the world for years and, aged 33, should have a few more years of top-level performances left in him. I don’t need to discuss the guy’s legendary status; I’m sure you already know plenty about his accolades. Buffon is the complete ‘keeper, and Handanovic’s self-confessed idol. The problem with Buffon, however, is that he hasn’t looked the same since recovering from an injury sustained at the 2010 World Cup. He missed a huge chunk of last season and has re-established himself at Juventus, but he hasn’t been the exceptional ‘keeper of old. I’d expect Buffon’s old self to return soon and his performances haven’t been bad, they just haven’t been as out of this world as we’ve come to expect. Elsewhere on the peninsula, there’s Napoli’s Morgan De Sanctis. Highly-regarded by the Partenopei, De Sanctis is often referred to as “Italy’s second-best goalkeeper.” I can get behind that. De Sanctis is particularly impressive in one-on-one situations, but I don’t think he can match Handanovic for reflexes and exuberance. Federico Marchetti has had an excellent start to life at Lazio after spending last season on the sidelines at Cagliari. 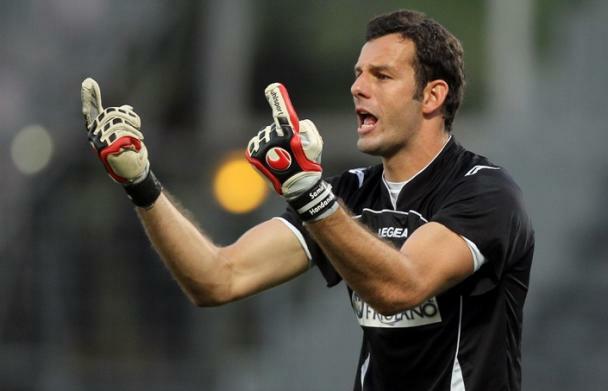 Marchetti, 28, has only been a Serie A ‘keeper since 2008, and I think it’s too early to consider him one of the best. Julio Cesar? Not the player he was a few seasons ago. Christian Abbiati? Solid but unspectacular. Maarten Stekelenburg? Hasn’t really done it at Roma. The English Premier league is awash with goalkeeping talent. I regard Liverpool’s Pepe Reina as the best in the league. His consistently outstanding performances have, at times, been the only thing preventing the Reds descending into total farce, but he still commits the odd error every now and then. Petr Cech, in my eyes, hasn’t been the same since Stephen Hunt almost kicked his head off in 2006. Cech is still undeniably very, very good and can still make brilliant saves but has played hesitantly since his injury. The Cech of 2011 is reluctant to dive at strikers’ feet and looks bothered by having to come off his line and claim a cross. It’s only natural for such an injury to have a long-lasting psychological affect, and while I still think Cech is world-class he’s lacking the bravery that used to make him truly special. Manchester City’s Joe Hart is ever improving and an excellent shot-stopper, but he’s still raw. He’s yet to suffer the wrath of the savage English press when they’re out for blood and I don’t think it’s right to call him one of the world’s best until his mental strength is significantly tested. Just look what happened to Robert Green and Paul Robinson. Hugo Lloris, France’s best goalkeeper, is a definite contender for the “world’s best” title. The likes of Arsenal have been courting Lloris for years, but he looks set to remain a Lyon player for the foreseeable future. An incredible athlete and a commanding presence in the box, Lloris is a ‘keeper of the highest calibre and one any team would be delighted to have. How about the Germans? Manuel Neuer is settling into life with Bayern Munich after a difficult start and looks set to be number one for club and country for years to come. Elsewhere Rene Adler and Tim Wiese are very good ‘keepers in their own right, but neither are performing at a level comparable to Handanovic at the moment. Arguing Handanovic’s status as a top, top ‘keeper gets difficult as soon as you reach La Liga. Iker Casillas is regarded by many as the best goalkeeper in the world, and for good reason. The Spanish #1 is an icon for Real Madrid and Spain and routinely pulls-off outstanding saves like they come naturally to him. He puts his body on the line week after week and his performances have won Real plenty of games over the year. Victor Valdes is almost as good. Far removed from the clanger-prone buffoon of old, Valdes has become an integral part of a Barcelona team that could be argued as being the greatest club side in history. Not just an excellent shot-stopper, Valdes is brilliant with the ball at his feet and passes like a central midfielder. Hardly surprised for a La Masia graduate. How does Handanovic compare to all of the above? To be honest, I’m not entirely sure. I’m convinced he’s a better ‘keeper than most I’ve mentioned, but it’ll take a few more years of excellence before he’s comparable to Buffon and Casillas in-particular. That said, I can’t think of another goalie I’d rather have playing for my team at the moment.